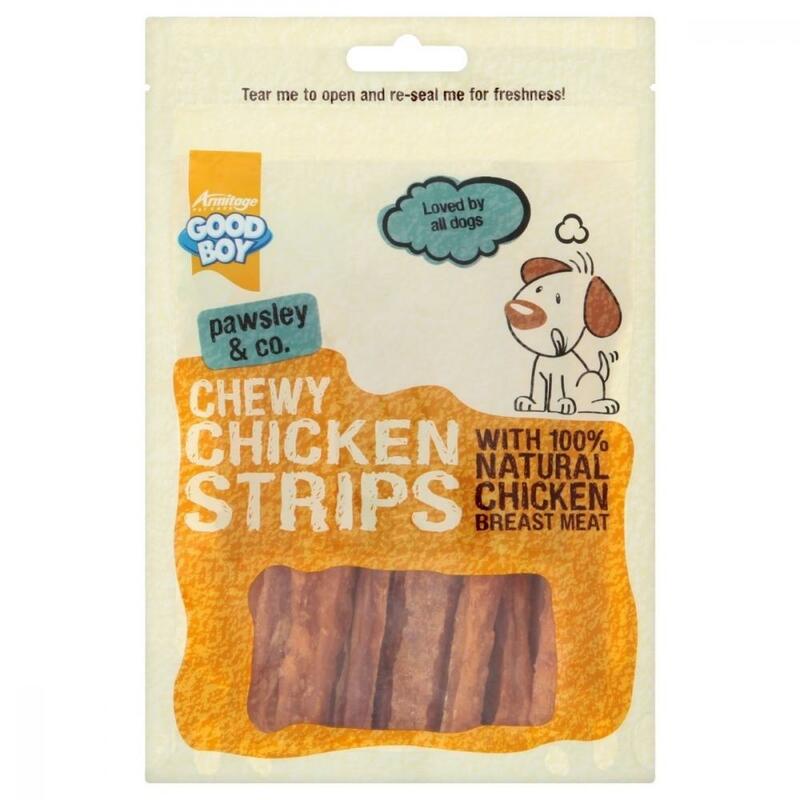 Good Boy Pawsley & Co Chewy Chicken Strips are tasty treats that have been made from 100% natural chicken breast meat, and are ideal for sensitive tummies. Delicately roasted to lock in all of the delicious flavours, Good Boy Pawsley Chicken Strips have been made with only 2% fat and have a delightful chewy texture that will not only provide your dog with stimulation, but will more importantly help reduce the risk of gum disease and tooth loss. There are currently no questions for Good Boy Chewy Chicken Strips - be the first to ask one!